The Rhodopes are like a sea of gradating dark green hills. Even if you admire only for a while of the beautiful panorama and breathe from the crystal clear air, you will forever fall in love with the magnetic and imposing Rhodopes. The incredible silence and tranquility are consuming, giving you the feeling of some unique experience. You fill your soul with delightful emotions and wondering, what place is this, where time has stopped. Everything that surrounds you there is a subject of an indescribable and still untainted and untouched marvelous nature. The numerous picturesque roads around the birth place of the mythical singer Orpheus are tempting and showing the genuine beauty of the nature. Around, a folk song will be carried along with the quiet murmur of the mountain streams and the melodious jingling of the Chams, you will breathe from the concentrated with herbs and flowers fresh mountain air, and your soul will enjoy the calmness of the nature. The wondrous bridges, situated down the current of Aidarian Gulch River, are only one of the numerous wonders of the Rhodope mountain. These Bridges are tremendous marble arcs connecting the two banks of the river Dalboki Dol, which runs from the Big Persenk peak (2091m) among age-old fir and pine trees. The bridges are also called Erkiupria (from turkish "er" - earth and "kiupria" - bridge). This phenomenon is quite interesting not only with its impressive look, but with its history of origin. In times gone, a cavern formed in the marble formation from the water of Dalboki Dol river collapsed, probably due to an earthquake. The river took away the fallen debris and thus those two rare in their beauty natural rock bridges came to exist. The tourist eco-paths connect the Wondrous Bridges with the Kabata, the Rocky bridges Sunshine and Persenk. beneath the Persenk peak, there's an ancient Roman road, built in the 1st century BC. You will be forever enchanted by the raw majestic beauty of the Buinovsko and Trigradsko gorges and attracted by the magnificent underworld of the caves Devil's throat, Iagodinska and Snejanka. The majestic and impressive with its beauty gorge is situated along the river Trigrad, 1.3km north of the village Trigrad, down the road Devin-Trigrad. 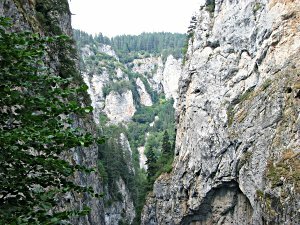 The main part of the gorge extends 2-3km along the river, and marble rocks are rising above it, forming a narrow passage. The enormous vertical rocks are pressing the way of the water running wild into the canyon like gorge. 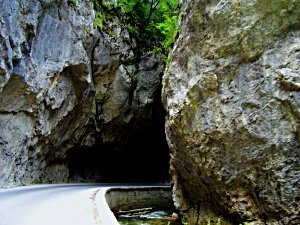 One of the phenomenons of the Trigrad gorge in the Rhodopes is the abyss cave The Devil's throat, formed by a collapsed earth layers. The gorge is situated on the both sides of the river Buinovska, affluent of river Vacha. 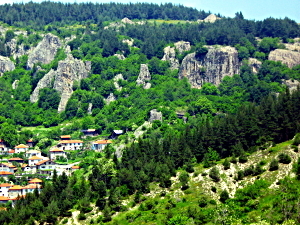 The swift-flowing waters have cut the limestone rocks, creating a unique with its beauty place in the Rhodopes. The vertical rocks are so close, that it feels like you can jump to the other side. The place where the rocks nearly touch each other is called by the natives " The wolf's jump". Part of the Buinovsko gorge is one of the most beautiful caves - Iagodinska. The cave is a pearl in the crown of the remarkable Rhodope beauty. Known as "Imam's hole", the cave is 10km deep, on five floors, with many labyrinths and it's pretty dangerous. 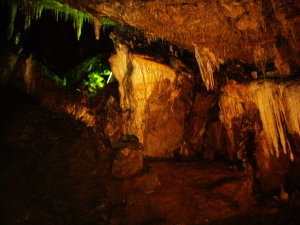 A special path going thru the cave gives you the ability to see the lovely underworld, formed in over millions of years. Electric lightning illuminates in a very effective way the wondrous formations: draperies, stalactites, cave pearls, a 'leopard skin', stalagmites and many others. The infinite green, coloured with woodland flowers, meadows around the Chayrian lakes and the endless forest around the Smolyan lakes will take you to a magical world. 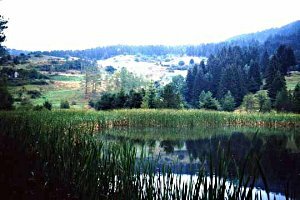 In the heart of the Rhodope mountain are situated the Smolyan lakes. From former times when the emerald eyes of the Rhodopes were twenty, only seven have left now. During the ages alluvium soil and rocks have layed over the lakes, thus filling some of them up. The lakes lie picturesque on several terraces. The lakes (total of 7) are at a 1600m above sea level. They are natural landslide reservoirs, formed by the melted glaciers during the ice age. One of the lakes is called the Magical lake. Folded in mist and vapours, surrounded by trees with bizzare shapes, it looks like a mystical fairy-tale. 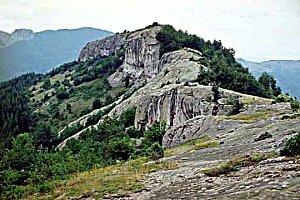 Belentash rock massif is located approximately 60 kilometers from Plovdiv in the Rhodope Mountains near the villages the Vrata and Sini Vrah.This is a rock plateau, about 300 meters length and width of 35-45 meters. Its height is about 50 meters. The upper stage of the rock is flat and smooth, and hewn with a knife. 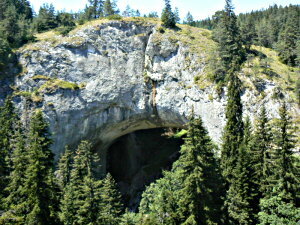 It is suggested that here was one of the great ancient Thracian sanctuaries in the Rhodope Mountains.In the region of Belentash has been found the one and only silver plate with the image of God Sabazios.Scientists are sure that somewhere in the rock is hidden the ancient library of knowledge of the Thracians. To learn more about the history of this marveouls place, visit Assen's fortres which is not far away from Asenovgrad,Bachkovski monastery and the town of Smolyan with numerous museums and architectural monuments. If you would like to experience the traditional Bulgarian spirit, way of life and culture, to get away from the vanity of the big city, to wake up in the morning, not by the sound of the passing by cars, but by the crow of the roosters and the bells of the herds, you should definitely go and visit some of the numerous rhodope villages like Borovo - www.borikite.com ( 6km from Cross forest), Shiroka Laka, Stoykite, Gela, Momchilovtzi, Bukata and many others. Natives will give you a warm welcome and accommodate you in a beautiful village house - combining the rhodope atmosphere with the contemporary conveniences and feast you with delicious local dishes. 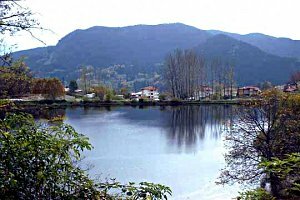 Once you visit the Rhodopes you'll never forget the rhodope people along with their hospitality and tasty food. Unmatchable in taste are the rhodope barbeque, the patatnik, the smylian bean, the klin ( a rhodope cheese pastry), the hominy and the tinsels. Preparing some of them is an absolute ritual, in which if you would like, you can even participate.